While Paris is without doubt one of the world's greatest cities, the population living within its actual city limits is actually quite modest - only about 2.1 million as of 2019. What puts Paris in the front rank of the world's cities is the enormous population of the metropolitan area - over 12 million in the Île-de-France region of which it is the center. In this drone video by top contributor Etienne Lehuédé, you'll get an aerial glimpse of this vast suburban sea, home to 10 million souls. 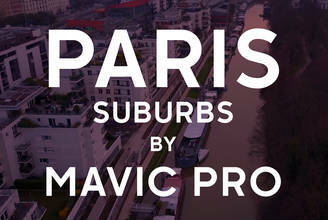 Description: Landscapes of the surburbs of Paris filmed by the drone Dji Mavic pro in 2.7K & 30fps.